A concept album about aliens? I’m in! 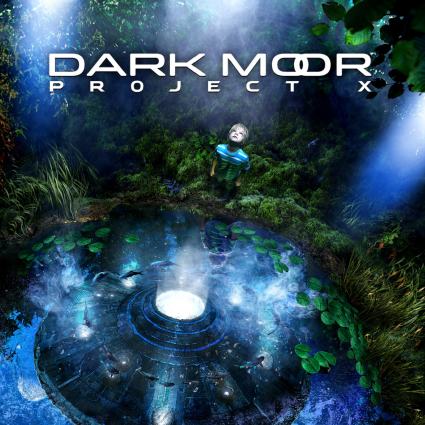 Dark Moor have always been a band that I’ve been meaning to look more into, so being able to review “Project X” was a perfect opportunity to do that. Concept albums can be a bit cheesy and sure there are moments of “Project X” that are cheesy (like the end of “Imperial Earth”) but it’s not that bad. Dark Moor have one foot VERY firmly planted in classic rock/AOR. They remind me a little of Queen, check out the backing vocals on “Gabriel” and really the grandiose “Bon Voyage!” Now, Dark Moor nowhere near as complex as Queen used to do but there is plenty of pomp to what they does. And, the songs are actually really catchy. So it’s hard to fault them for executing them in the way that they do. The bottom line is it actually does work for the songs. Dark Moor feel like a guilty pleasure for any prog metal fan, like me. They really are no more prog than Muse and definitely sound like Muse (see the previous Queen comment) especially on the closing track “There’s Something in the Skies.” Plus this is better than the current Muse album by a mile. I have to admit that “Project X” is a damn “earworm” of an album. No matter how hard you try to fault the album, it’s just a really fun album! Damn you, Dark Moor.